Vanishing cane has been a classic of stage magic. 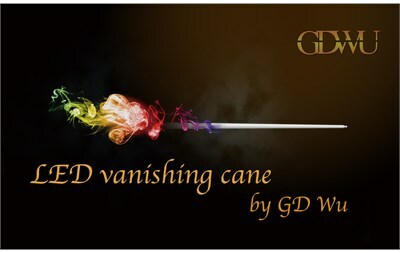 And now, GD Wu combines vanishing cane with high technology LED, bringing new life to this classic stage magic prop. The addition of LEDs makes the effect look modern and more intriguing. Special designed switch allows you to change color at your own will. You can use it along with D lite or other props. It will enrich your performance.